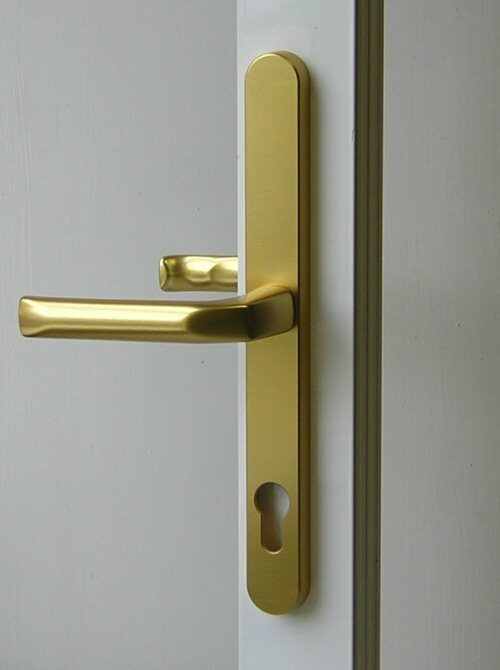 Our Ali 47 Residential Doors come with a choice of either a lever-lever handle or lever-pad handle as well as a choice of letterboxes, door knockers, house numbers, and other door furniture. 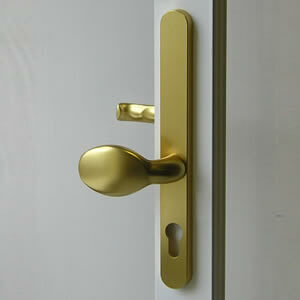 All hardware is available in a variety of different colours. 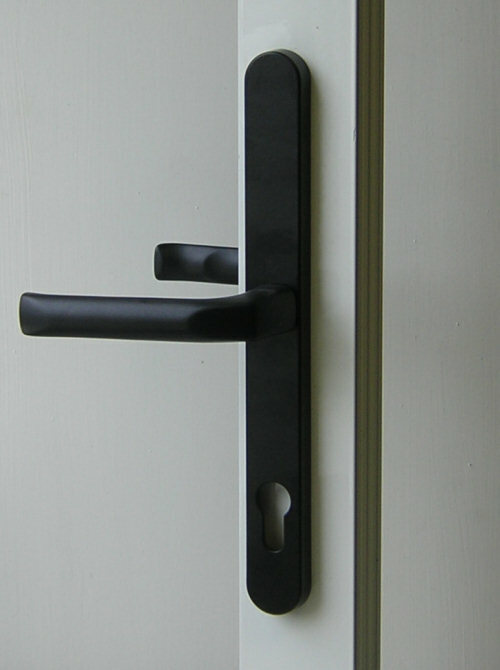 Our Luxury aluminium doors are available with standard lever-lever handles (Seen left). 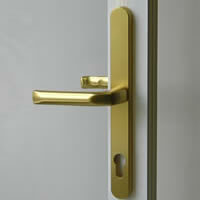 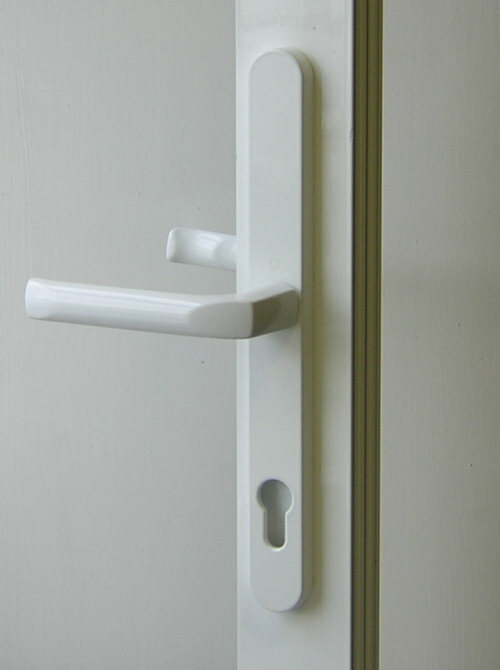 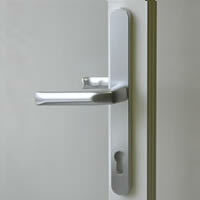 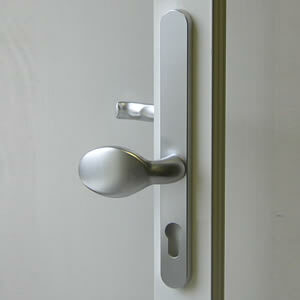 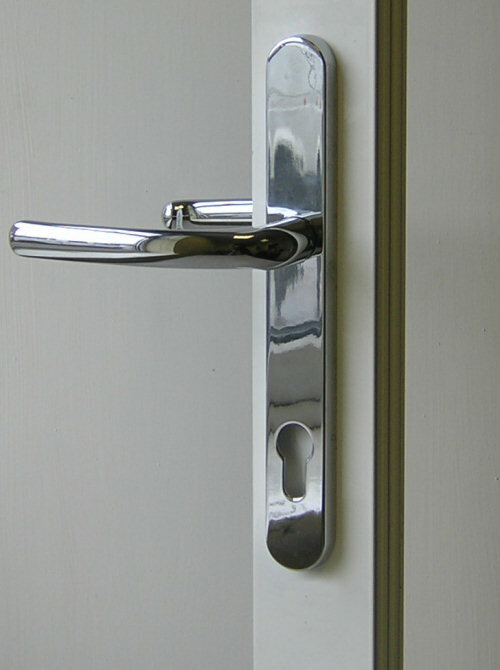 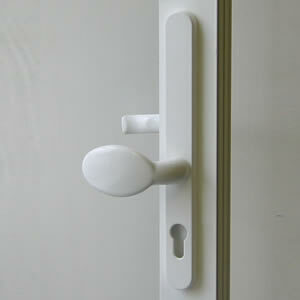 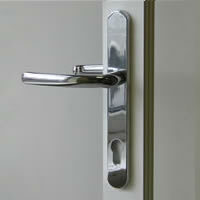 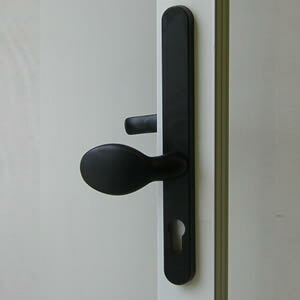 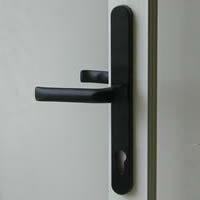 These handles are very functional and as a result have been the industry standard door handles for many years. 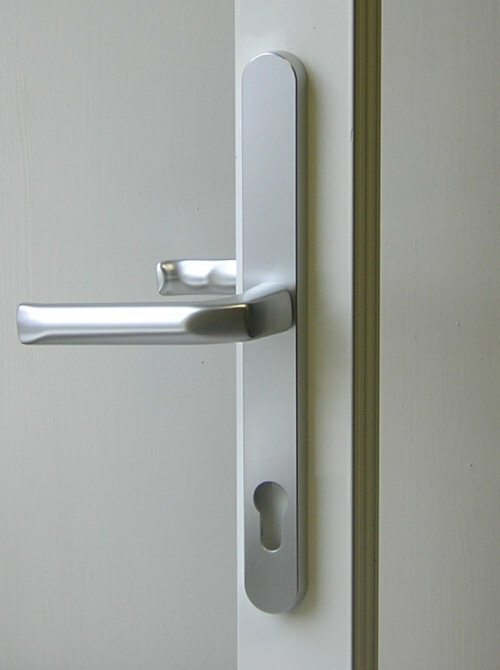 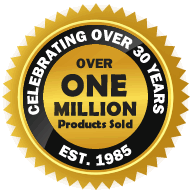 Our Luxury aluminium doors are available with lever-pad handles. 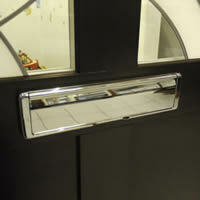 Our Luxury aluminium doors are available with a range of letterboxes - if required. 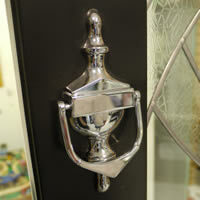 Need a door knocker? 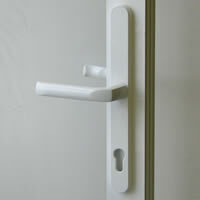 We can supply those too.